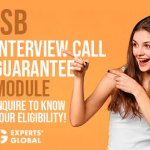 After success in the crucial stage of essay submission of the ISB admission process, comes the stage of the interview- a stage wherein your body language, your personality, your temperament will be judged. Since the ISB admission process is very competitive, you need to be well-prepared mentally. The reputed ISB Admissions Consultants can guide you on how to fare well in the ISB interview. The following tips have been enlisted keeping in view the questions that you are likely to be asked at your interview for ISB admission. Hone Your Communication Skills: If you desire admission to the prestigious ISB, you need effective communication skills. Talk confidently and lucidly. Listen carefully to the questions. Be precise in your answers. Maintain eye contact with all interviewers. Prepare to Answer About Yourself: Rehearse how you will answer about yourself, your work and your achievements. When talking about yourself, relate something not mentioned in your CV. But be honest. For securing admission to ISB, prepare a strong answer on what sets you apart from others in your field. Include points about the contribution you can make if you manage admission to ISB. Think About Skills You Want to Highlight: To give you admission into ISB, the panel needs to assess the person you are. Mention your skills and substantiate with examples. If you mention that you have good analytical skills, for instance, be prepared to furnish examples. You may be given a question the solution of which requires the use of analytical abilities. Also think of a suitable answer to a question on your strengths and weaknesses. Prepare to Answer Questions on Your Hobby: For instance, if you say you like reading books, you should be able to tell which books you like and why. Worthy extra-curricular engagement will increase your chances of admission to ISB. Remember to Highlight Leadership Potential: To secure admission to ISB, show that you have the potential to become a leader. Be ready to answer when and how you have proven this. Remember to Highlight Team Skills: Think about the times you have done well as part of a team and what your contributions have been. Prepare a good answer to make ISB admission easier. Have Clarity on Why ISB: Do your homework on why you want ISB admission. 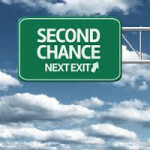 Have clarity on your goals and how ISB will be a stepping stone to your success. Do research about the clubs and facilities at ISB. Seek your Consultant’s help. Practice Guestimates: How many ATMs are there in Mumbai? What about the number of flights taking off at Indian airports at this very hour? Well, guestimates such as these are favorite of ISB! Practice well on these to get a reasonable well ballpark figure. Enhance Knowledge: Learn about the company you work with and its competitors. Prepare to answer questions related to the work you have done. Acquire thorough knowledge about what you want to do and about related fields. Improve Awareness: Read about current affairs. Brush up knowledge about India and the Indian population. Be Ready With Questions: The interview panel may ask if you have questions. Ask your Consultant for suggestions. Go in for mock interviews with your Consultant to get feedback and increase confidence. Remember that you have to display potential and preparedness to be considered for admission to ISB. Is ISB a good enough option?